Nome : Sabo Goes into Action! All the Captains of the Revolutionary Army Appear! 9x14 - The Exterminated Capital! The Twirly Hat Crew Arrive! 9x15 - The Time Limit Closes in! The Bond Between the Mink Tribe and the Crew! 9x01 - The Silver Fortress! Luffy and Barto's Great Adventure! 9x02 - An Underground Maze! Luffy vs. the Tram Human! 9x03 - The Sword Technique Heats Up! Law and Zoro Finally Appear! 9x04 - A Desperate Situation! Luffy Fights a Battle in Extreme Heat! 9x05 - The Start of a New Adventure - Arrival at the Mysterious Island, "Zou"! 9x07 - A Deadly Elephant Climb! A Great Adventure on the Back of the Giant Elephant! 9x08 - A Battle Begins! Luffy vs. the Mink Tribe! 9x10 - Start to Counterattack! Great Moves by the Twirly Hat Crew! 9x11 - A Threat Descends! The Beast Pirates, Jack! 9x12 - King of the Day – Enter Duke Inuarashi! 9x16 - The Delinquent Comes Home! Emperor Big Mom's Assassins! 9x17 - The Truth Behind the Disappearance! Sanji Gets a Startling Invitation! 9x18 - To My Buds! Sanji's Farewell Note! 9x19 - Let's Go and Meet Master Cat Viper! 9x20 - Luffy's Decision! Sanji on the Brink of Quitting! 9x22 - The Third One! Raizo of the Mist, the Ninja, Appears! 9x23 - A Red Stone! 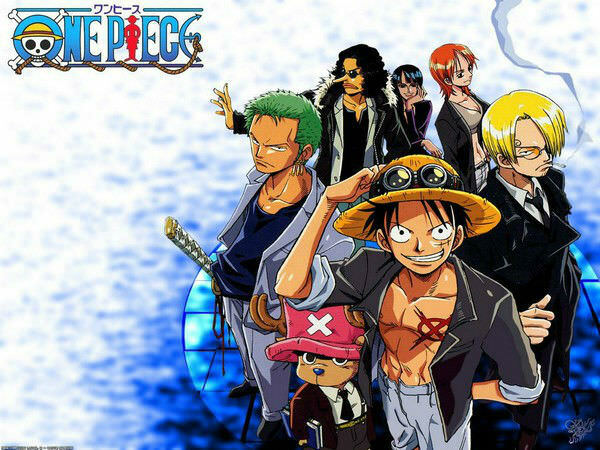 A Guide to the One Piece! 9x24 - The Secret of the Land of Wano! The Kozuki Family and the Ponegliffs! 9x25 - A Vow Between Two Men! Luffy and Kozuki Momonosuke! 9x27 - The Nightmare Returns! The Invincible Jack's Fierce Attack! 9x28 - A Battle to Defend Zou! Luffy and Zunesha! 9x29 - Save Zunesha! The Straw Hat's Rescue Operation! 9x30 - Saying Goodbye and Descending from the Elephant! Setting Out to Take Back Sanji! 9x31 - To the Reverie! Princess Vivi and Princess Shirahoshi! 9x32 - To the Reverie! Rebecca and the Sakura Kingdom! 9x33 - Kaido Returns! An Imminent Threat to the Worst Generation! 9x34 - A Hungry Front! Luffy and the Navy Rookies! 9x35 - The Implacable Three! A Big Chase After the Straw Hats! 9x36 - The Devil's Fist! A Show Down! Luffy vs. Grount! 9x37 - Sanji's Homecoming! Into Big Mom's Territory! 9x38 - Zero and Four! Encountering Germa 66! 9x39 - A Deadly Poison Crisis! Luffy and Reiju! 9x40 - Totto Land! Emperor Big Mom Appears! 9x41 - The Emperor's Daughter! Sanji's Fiancée - Pudding! 9x42 - A Massive Attack! Mom's Hunger Pangs! 9x46 - Mom's Assassin! Luffy and the Seducing Woods! 9x47 - A Seafaring Kingdom! Germa's King Judge! 9x48 - A Battle Between Father and Son! Judge vs. Sanji! 9x49 - A Giant Ambition! Big Mom and Caesar! 9x50 - Kingdom of Souls – Mom’s Fearsome Power! 9x51 - A Top Officer! The Sweet 3 General Cracker Appears! 9x55 - The Benefactor's Life! Sanji and Owner Zeff! 9x56 - An Angry Sanji! The Secret of Germa 66! 9x57 - The Past that He Let Go of! Vinsmoke Sanji! 9x59 - A Battle of Limits! Luffy and the Infinite Biscuits! 9x60 - The Power of Satiety! A New Gear Four Form - Tank Man! 9x63 - A Storm of Revenge! An Enraged Army Comes to Attack! 9x64 - The End of the Adventure! Sanji's Resolute Proposal! 9x65 - I'll Wait Here! Luffy vs. the Enraged Army! 9x66 - Invading the Chateau! Reach the Road Ponegliff! 9x67 - A Fateful Confrontation! Luffy and Big Mom! 9x68 - Shout of the Soul! Brook and Pedro's Lightning Operation! 9x69 - Goodbye! Pudding's Tearful Determination! 9x70 - The History of the Left Eye! Pedro vs. Baron Tamago! 9x71 - Moist Cigarette! The Night Before Sanji's Wedding! 9x72 - The Undaunted Soul! Brook vs. Big Mom! 9x73 - Sora's Wish! Germa's Failure - Sanji! 9x74 - To Reach Sanji! Luffy's Vengeful Hell-bent Dash! 9x75 - The Chateau in Turmoil! Luffy, to the Rendezvous! 9x76 - Deciding to Say Goodbye! Sanji and his Straw-Hat Bento! 9x77 - The Emperor Rolls Over! Rescue Brook Mission! 9x78 - The Rendezvous! Luffy, a One-on-One at His Limit! 9x79 - A Liar! Luffy and Sanji!! 9x80 - Sanji Comes Back! Crash! The Tea Party from Hell! 9x81 - A Secret Meeting! Luffy vs. the Fire Tank Pirates! 9x86 - A Deadly Kiss! The Mission to Assassinate the Emperor Kicks Off! 9x87 - Offering up a Sake Cup! Chivalrous Jinbe repays his debt! 9x88 - The plan failed!? Big Mom Pirates Counterattack! 9x89 - Run Sanji! SOS Germa 66! 9x90 - Mom's Secret! The Giant's Island Elbaph and a Little Monster! 9x94 - Cutting the Father-Son Relationship! Sanji and Judge! 9x95 - Escape From the Tea Party! Luffy vs. Big Mom! 9x96 - The Execution Begins! Luffy's Allied Forces Are Annihilated?! 9x97 - The Chateau Collapses! The Straw Hat's Great Escape Begins! 9x98 - The Spear of Elbaph! Onslaught! The Flying Big Mom! 9x102 - Save the Sunny! Fighting Bravely! Chopper and Brook! 9x103 - Before the Dawn! Pedro, the Captain of the Guardians! 9x105 - The Man with a Bounty of Billion! The Strongest Sweet General, Katakuri! 9x106 - A Hard Battle Starts! Luffy vs. Katakuri! 9x107 - The Green Room! An Invincible Helmsman, Jimbei! 9x110 - The Forbidden Secret! Katakuri's Merienda! 9x115 - The Cake Sank?! Sanji and Bege's Getaway Battle! 9x116 - Sulong! Carrot's Big Mystic Transformation! 9x117 - Break Through! The Straw Hat's Mighty Sea Battle! 9x118 - Finally, The Clash! The Emperor of the Sea vs. the Straw Hats! 9x119 - Dark King's Direct Precepts! The Battle Against Katakuri Turns Around! 9x121 - Lurking in the Darkness - Assassin Attacks Luffy! 9x124 - A God Speed Fist - New Gear 4 Activation! 9x126 - A Desperate Situation! The Iron-tight Entrapment of Luffy! 9x127 - Pulling Back from the Brink! The Formidable Reinforcements - Germa! 9x128 - The Last Hope! The Sun Pirates Emerge! 9x129 - A Captivating Flavor! Sanji's Cake of Happiness! 9x131 - The Parting Time! Pudding's Last Wish! 9x132 - The World in Shock! The Fifth Emperor of the Sea Arrives! 9x133 - To the Reverie! The Straw Hats' Sworn Allies Come Together! 9x134 - Sabo Goes into Action! All the Captains of the Revolutionary Army Appear! 9x135 - Going into Action! The Implacable New Admiral of the Fleet - Sakazuki! 9x137 - One Step Ahead of the Dream - Shirahoshi's Path to the Sun! Episódio S09E134- " Sabo Goes into Action! All the Captains of the Revolutionary Army Appear! "